If you are an amateur or a professional photographer, then not utilizing the social media is a discredit. It is always prudent to capture mind blowing snaps and upload in social media sites like Instagram. But what if you would like upload all your snaps from your PC instead of from your mobile? 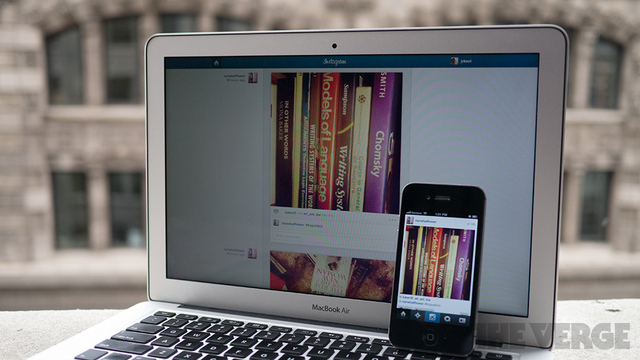 Instagram is easy for people who upload snaps from mobile. But, in this brief article, you will learn ways through which you can upload your favorite pictures directly from your computer. Using Dropbox: While most people will say that it is impossible to upload pictures from computer to Instagram, there is a super easy way to upload snaps from your computer and it is through Dropbox. The first thing you need to do is to download Dropbox on your PC and install the app on your mobile. Then all the photos you have in your computer, you need to sync with Dropbox. Once the syncing is done, you can create a separate folder on your phone and can save all the pictures from your phone. Then it would be super easy. Just upload selected or all the snaps from your mobile on Instagram. Using latergram.me: This is also a cool way to upload your snaps from your desktop. You can use http://lategram.me to add photos from your desktop. You don’t need to worry about the numbers of photos as you can add as many snaps as you want. The best thing about this app is that you can upload snaps on Instagram as per your schedule. You only need to add photos and schedule to post it on a later date. Moreover, you can also get the analytics of your photos on the desktop site. Using simple emails and Bluetooth: If you don’t like to download or install any apps, simple way is to email all your snaps to your email id and download in your mobile. Once you download in your mobile, you can upload the snaps on Instagram from your mobile. But emailing high resolution images often become cumbersome. You can use Bluetooth to quickly transfer all your snaps on desktop to your mobile. And from your mobile, you can post pictures on Instagram. Using SHAREit app: You can download a PC version of SHAREit on your desktop and you can install SHAREit app and then transfer all the snaps from PC to your mobile. This app is really faster and transfers high resolution snaps very quickly which helps you upload photos on your Instagram easily.